Schmalbach-Lubeca operates 24 hours a day, 7 days a week, manufacturing millions of plastic bottles each day for the beverage industry. With a total of 63 plants worldwide, 17 locations are within the United States. 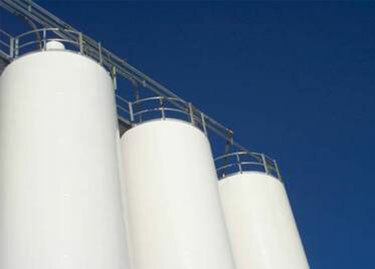 The Blythewood, South Carolina location was using long radius elbows to convey PET poly pellets from the rail car to the silo, and from the silo to the molding operation. "Streamers" were collecting on the magnet protection before the molding operation, effectively "choking" off the material flow to the injection molding machines. Once this happened, the system would have to be shut down to clean out the magnet chute, causing loss of production, time and money. 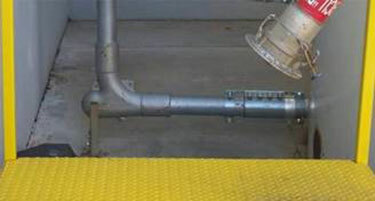 In 1999, HammerTek Smart Elbow® deflection elbows with socket-weld ends were installed. Schmalbach-Lubeca welded pipe stubs into each end of the elbows so they could easily be retrofitted into the space used by the long radius elbows and then connected to the piping using the existing couplings. This approach made financial sense since it made use of pre-existing hardware and required a minimal amount of time for retrofit. Smart Elbow units are currently installed on the conveying lines from the rail car unload to one of the storage silos (vacuum system) and from the storage silo to the molding operation (pressure system). "Streamer" problems caused by the impact turn of the long radius elbows have been eliminated. The magnets are still inspected on preventive maintenance shutdowns, but shutdowns caused by loss of material flow have been eliminated. Operational time of the system has improved because of less downtime. Because of the reduction in maintenance and downtime of the system, the cost of the elbows was quickly offset. The amount of "fines" in the dust collector was reduced — translating into more material at the molding operation. The reduction in "fines" is the result of using a deflective turn instead of the impact turn of traditional long radius elbows. Thom Iwancio, System Engineer, notes that "when feeling the exterior of the long radius elbow, the elbow felt hot at the point of impact, and when feeling the Smart Elbow deflection elbow, it was cool to the touch." This statement supports the experience HammerTek has had on other installations where the Smart Elbow deflection elbow was installed to aid in the elimination of streamer problems. With conventional elbows, the material is turned by impacting against the elbow wall. This impact causes friction and generates heat, like that which was felt when Mr. Iwancio touched the exterior of the long radius elbow. The impact-generated friction and heat is what leads to the creation of unwanted streamers. In addition to the HammerTek Smart Elbow product installation, minor reductions were made in the system's speed and pressure as part of a total streamers/fines reduction initiative. As the design of the HammerTek Smart Elbow product relies on deflection of materials rather than impact, many of the impact-related problems associated with conventional elbows, such as streamers, fines, and wear, are virtually eliminated. On system start-up, a gently rotating, self-renewing ball of material is formed in the vortex chamber, causing a change in conveying direction though deflection. With conventional elbows, materials hit the outer wall and either slide along, or bounce off and impact the inner wall. 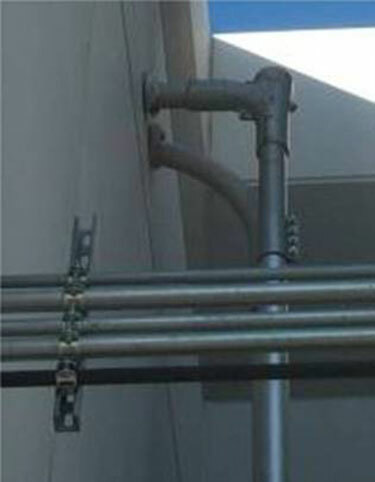 This kind of impact can quickly destroy an elbow, damage the conveyed material, and cause all the problems and headaches that engineers and plant maintenance people know all too well. For over two decades, HammerTek has been integrating our Smart Elbow deflection elbows into systems letting our customers breathe a sigh of relief. Take advantage of our free trial offer and see for yourself why the Smart Elbow deflection elbow is built to endure.